George Gershwin and a friend were playing a game of billiards on an evening in early January of 1924. George's brother, Ira was off to the side reading the New York Tribune, when he found something to interest his brother. "It seems that Paul Whiteman," Ira said, "is putting on a jazz concert on February 12th, and you're writing a jazz concerto for the occasion." This came as news to George  not the concert, Gershwin knew about that  but because he had already told Paul Whiteman that he was too busy to write anything for it. But it was in the Tribune, Horace Greeley's old paper! Gershwin relented, wrote the concerto and made history ... all in about a month. 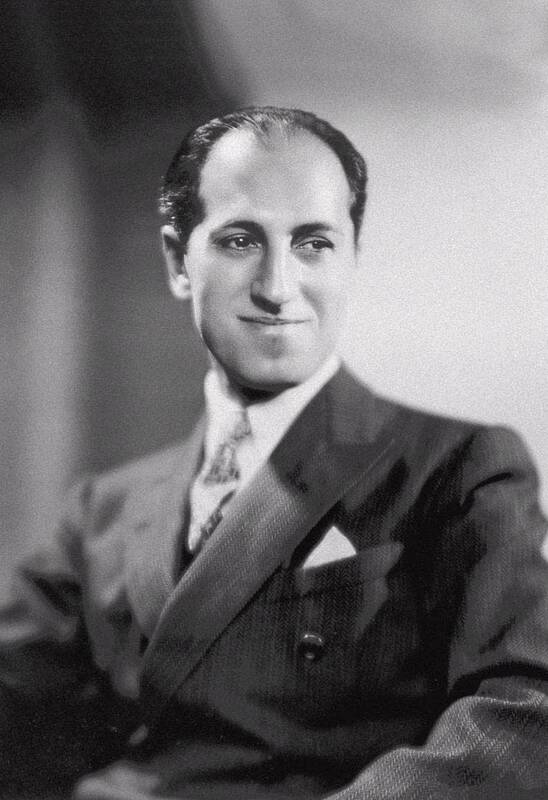 And since today is George Gershwin's birthday, the Rhapsody in Blue that you hear behind me, has George himself as soloist, courtesy of a piano roll he cut not long after the premiere.